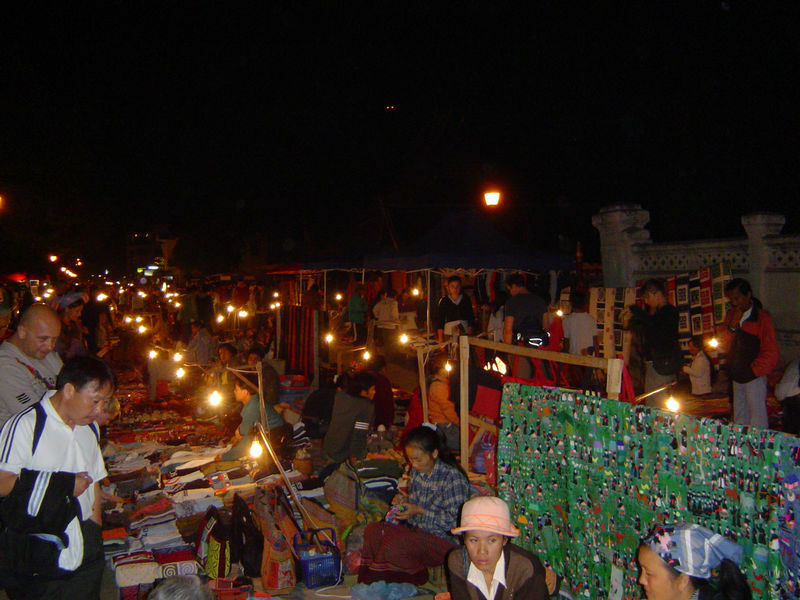 Street vendors set up for the night market every evening at 5 PM. 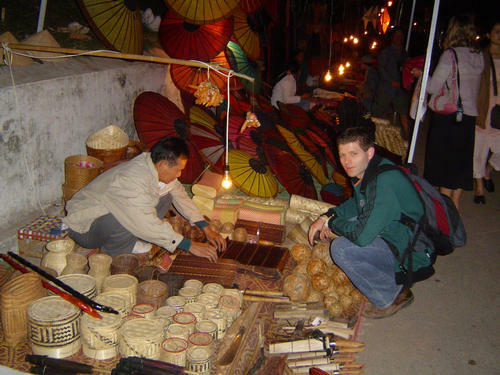 Christopher negotiating with a street vendor. 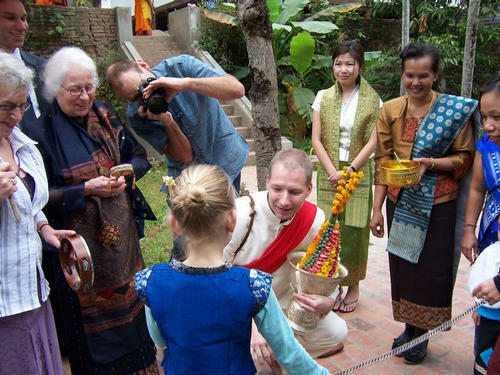 To enter, the groom must bribe the bride's family. 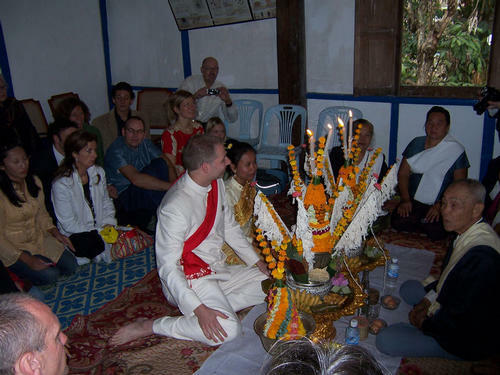 The bride and groom sit across from the shaman who performs the traditional Laotian wedding ceremony. 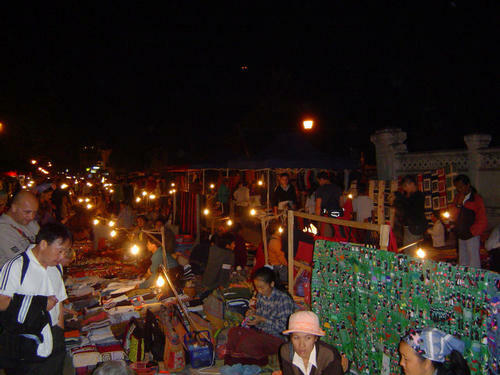 Shortly after dawn, street vendors line the sidewalk. 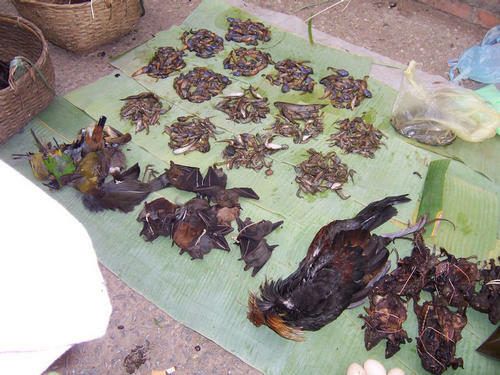 Do they really eat bats?? 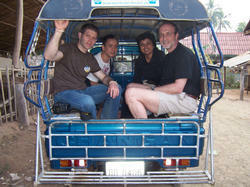 Riding to the trailhead in the back of a pick-up! 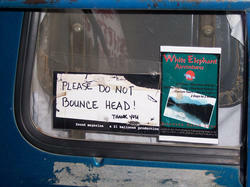 Hang on to your head!! 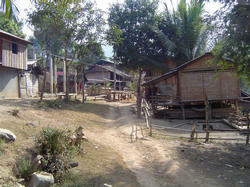 We hiked through several primitive villages. 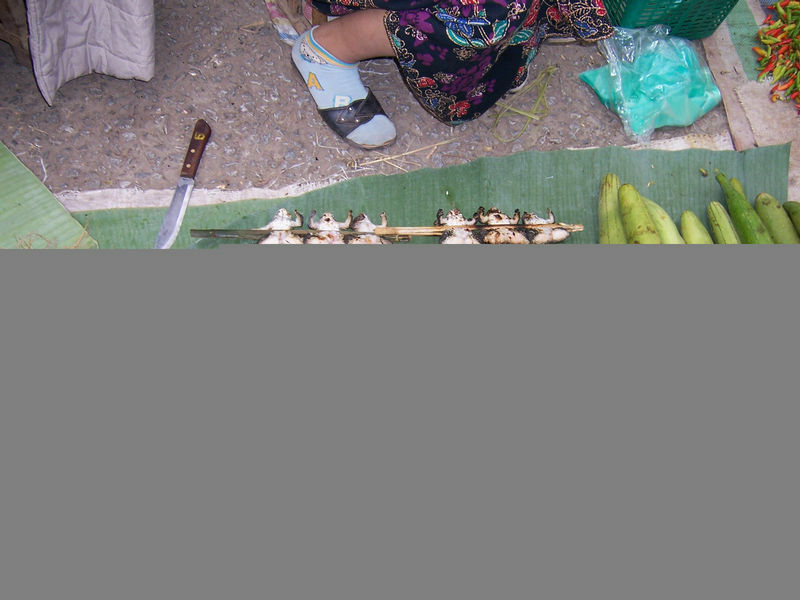 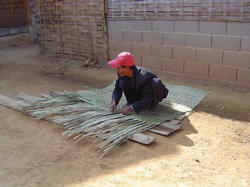 A villager weaves a bamboo mat. 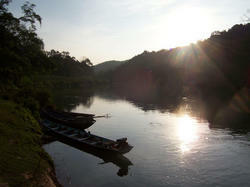 Our trek ended as the sun was setting. 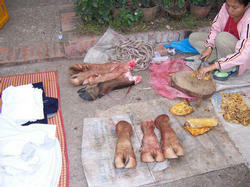 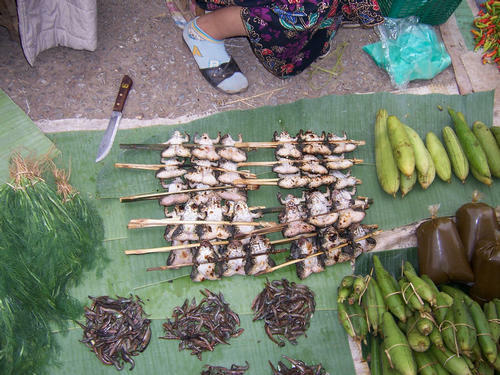 Is this a local delicacy? 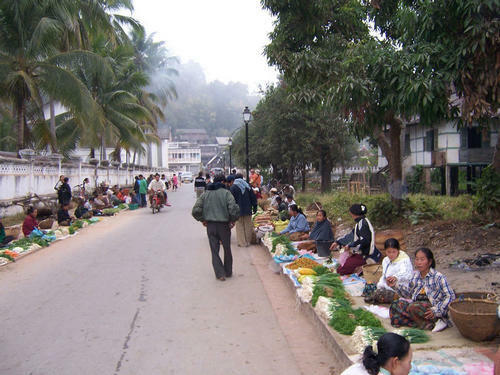 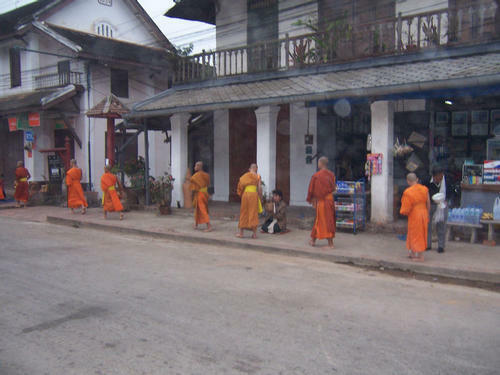 Villagers offer food to the monks each morning.